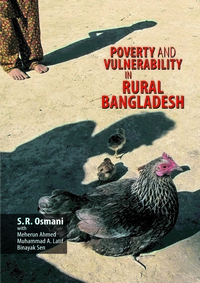 This book presents a rigorous empirical study of various aspects of poverty and vulnerability in rural Bangladesh. The themes include the trend and structure of rural poverty, rural inequality, asset accumulation, rural labour market, crisis and vulnerability of rural life, the role of social security in the rural economy, and the role of microcredit. 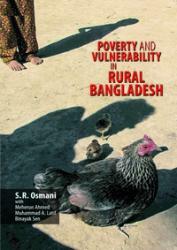 In comparison with other such poverty studies, this book can claim a number of distinctive features. First, unlike most other studies which are based on relatively small and usually unrepresentative samples, this study is based on a nationally representative large-scale survey. Second, even though it draws upon a one-shot cross-sectional survey, the study managed to infuse an element of dynamics by using information on both current and initial assets of households – initial assets being defined as the assets a household had inherited at the time it was formed. This information permitted an analysis of the dynamics of asset accumulation, which yielded important insights into the dynamics of poverty as well. Third, a concern with the role and influence of microcredit in the rural economy runs as an immanent theme across the book. In addition to devoting the final and longest chapter of the book to microcredit, in each chapter the authors analyse the role of microcredit in its specific context – for example, in shaping the trends in poverty, inequality and asset accumulation, in influencing the operation of the labour market, and in affecting the ability of rural people to cope with shocks.